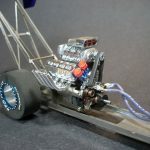 This topic contains 23 replies, has 8 voices, and was last updated by porsche917 4 days, 8 hours ago. Russel I have noticed wear on the tips of the teeth on my pinion, so I am going to research if any brass pinions are available at the same size (& pitch) as the OEM pinion. Before our first Thunderslot race can everyone check to make sure you have the right tires. After the group C race many ran their Thunderslot cars. Later when I ran I found the yellow and green lanes had lost their grip considerably. the blue lane was great. Possibly Silicone tires were accidentally used. 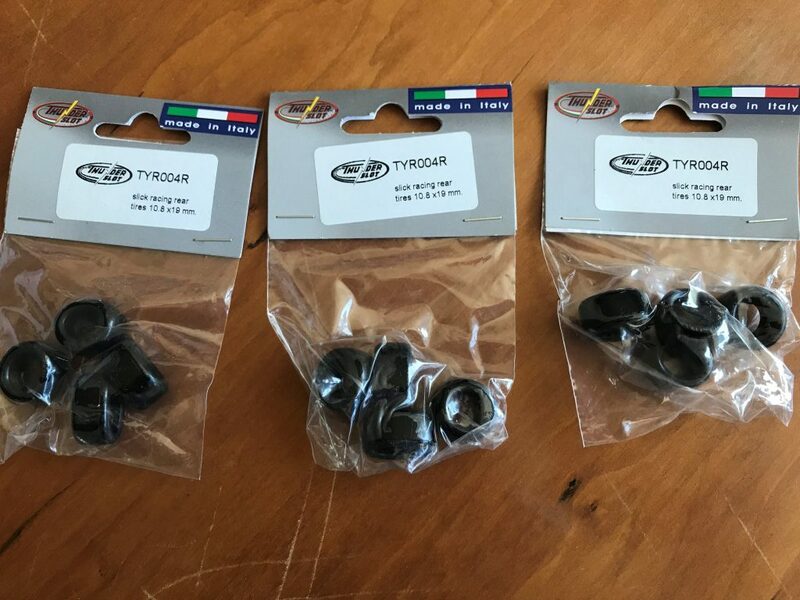 Make sure you have on your package TYR004R The other tire they offer is TYR005RX for carrera may have a different compound, since were not sure do not use these. If anyone needs tires today to have them ready let me know i can meet you I have a few extra. I’m not convinced the tires that shipped with my T/S Lola are urethane. Vinyl, perhaps? I did run Saturday after the Group C race. The rules have been updated to allow gear changes. Also, as was discussed last year but not officially put in the rules, spacers will be allowed on the front body mount posts to provide clearance for tires or spoilers. This was a separate thread from this year’s discussion. Tremendous praise to Marty for snagging the back-up data and for Stephen suffering through the storm and data for a couple of hours to get the tables for Russell. I really like the blue/green/yellow coding on the individual heat table. Thanks true servants of the club. Tires have arrived! Straight from Australia, straight from Italy are the Thunderslot racing tires we have been unable to find. I have 6 pairs available. First come, first served.